Where is this leg going? 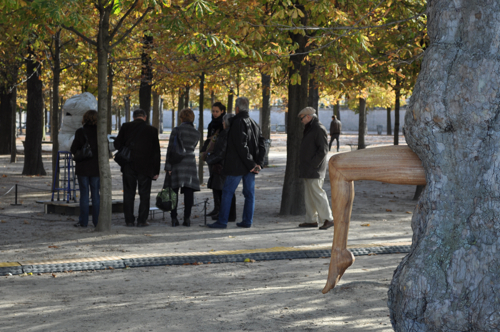 But there is one thing I’ll miss: the sculptures and installations of the Tuileries gardens. 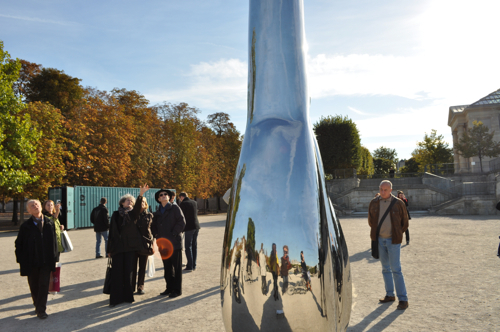 Am I wrong or did many more people than usual walk through the gardens and take pleasure in discovering a sculpture here, an installation there? There was this funny snowman that was about to melt in the sun – but as he was not made of snow, he was melting anyway. And there was this amazing wooden leg pointing out of the trunk of a tree…. Jennifer Allora and Guillermo Calzadilla did this sculpture, called Human Legacy. Curious visitors and design enthusiasts could discover Jean Prouvet’s ready-made house called Maison Ferembal, he had constructed 1948 in Nancy. Jean Nouvel, France's famous architect, did the reconstruction. 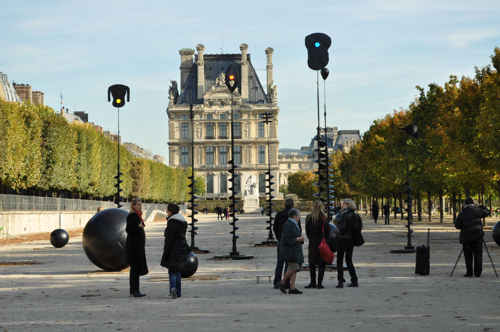 Last day of FIAC is also the day of the prestigious Prix Marcel Duchamp. The price this year had been awarded to Cyprien Gaillard, a thirty year old Frenchman living in Berlin. As Gaillard’s work deals mostly with 20th architecture in the ex-Soviet Union and other ex-communist countries, Berlin is the perfect place for him, as. 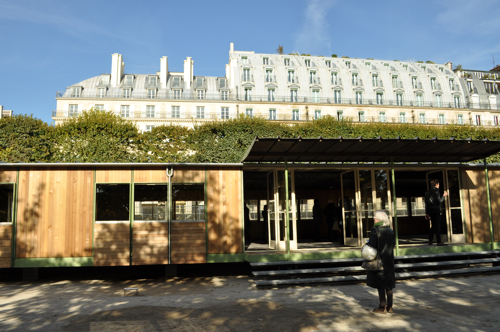 He wants to create “a cemetery of ruins” he once explained to Libération. At the FIAC Gaillard showed a video called Dunepark about a bunker on a Dutch beach.